The Journey > The Destination: Quarter finals! 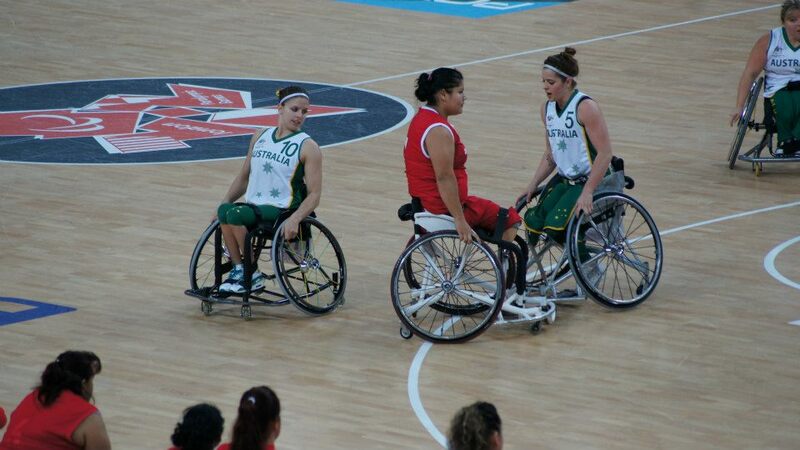 Today was our cross over game against the Mexican's. 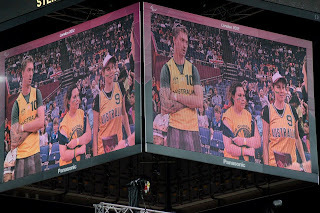 We were really strong right from the start which earned me a rest for 3/4 of the game. 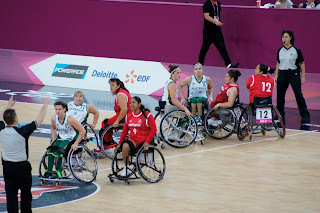 Our bench played an amazing game - not only keeping solid pressure on the Mexicans but also adding to the lead. Our team of 12 women is definitely 12 deep. 12 strong, admirable women who know how to play bloody awesome defence (which flows into a bloody awesome offence!). Hubby Lee was part of half time entertainment - getting interviewed on court side. Unfortunately I couldnt see it in the change rooms backstage! The APC media crew have done it again! What would I spend my last $10 on? I'm not very good at spontaneous answers especially with a camera in my face so my answer is a bit weird. There are heaps of decent meals for under $10! What was I thinking? After dinner we watched an emotional game between the GB and German girls. 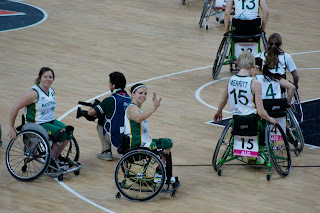 The GB girls worked their butts off and their country would be extremely proud of them despite them going down to the Germans in the final quarter. We also watched the USA v Canada game. The winner of course being the team we will play in the semi's. This game was also a very intense game to watch. So close right til the end but it was the USA girls who were the victors. The reality at the Paralympics is that there can only be 1 gold medal team, with two other teams winning silver and bronze. There are many more quality teams in the world. We can all beat each other. 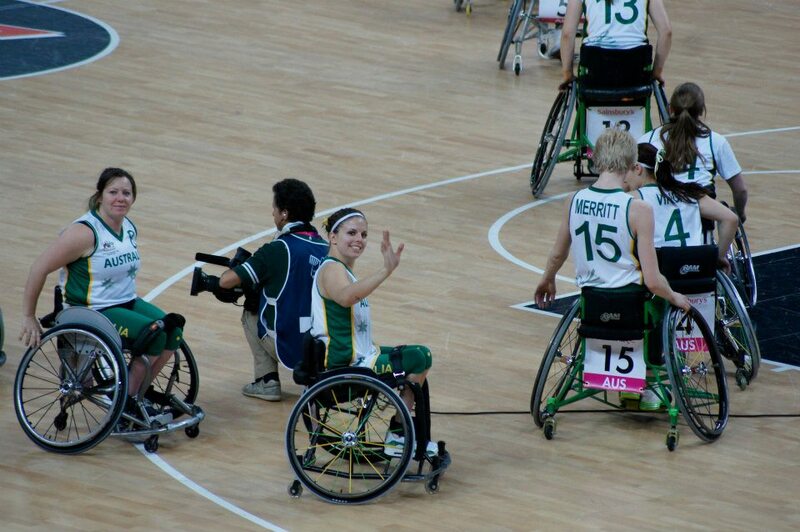 Womens wheelchair basketball is that good!! Today was another rest day. Breakfast, getting my photo on a stamp, lunch, meeting, training session, recovery, dinner, and lastly, re-dyed my pinky purple bit in my hair :-) Bring on USA tomorrow! !